MITIE, the FTSE 250 strategic outsourcing company, has appointed David Howorth as the new managing director for its Client Services business, which delivers front-of-house solutions to a range of blue chip financial, legal and media organisations. 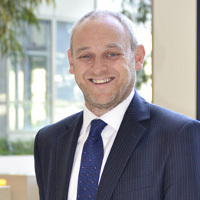 David joined MITIE in 2007 to launch the Client Services offering alongside outgoing director Debra Ward. In this time he has been instrumental in leading the strategic direction of the business, resulting in a substantial growth rate of over 42% in 2012 alone. Prior to joining MITIE David worked for Credit Suisse as Vice President in their Corporate Real Estate Services department and as Regional Manager at GlaxoSmithKline for The Gale Company. David will be working to expand the Client Services business, in particular its events offering, which last month co-ordinated 18 media events across one week for a high-street banking client. The business’s key achievements to date include being awarded and mobilising the largest front-of-house contract in the UK with a major financial institution, as well as receiving ‘Service Provider of the Year’ at the British Institute of Facilities Management (BIFM) awards in 2012. In March this year the business was also ranked by the Sunday Times as one of the top 100 small businesses to work for in the UK. David said: “My focus will be on maintaining our reputation for creating exceptional, memorable experiences one guest at a time, while continuing to push for innovation within the market and growing the business. David will take over the role of managing director from Debra Ward with immediate effect.